Who was it? Who first rocked your boat, flipped your lid, pushed your button, turned you on? (Intellectually, of course). Were you shaken by the medium (a sassy speaker) or the message (a call to arms)? Either way, someone special influenced many of us, igniting our passions. One of my pet fascinations – and professional preoccupations – is how ecosystems change over time. I’m always puzzling over whether ‘the patterns that we see were created by natural forces…or by a hidden mosaic of past disturbances’. So what catalyzed this interest? Who rocked my boat? In the old days (pre-PCs), information and inspiration weren’t so easy to come by. TV, seminars, books, and photocopies of photocopies did the trick. Luckily, my Honours supervisor, Bob Parsons, subscribed to an obscure journal from the USA. The word ‘journal’ is a bit grandiose, as early editions consisted of stapled foolscap pages. It had a low-key title, Restoration & Management Notes (R&MN), and described restoration activities across the USA. Back then, nothing like it existed in Australia. One afternoon, nearly 25 years ago, I stumbled across the paper that rocked my boat, that made ecology click. It was written by someone called Steve Packard, and it’s title was pretty low-key too: Just a few oddball species: restoration and the rediscovery of the tallgrass savanna. I’ve never met Stephen Packard, so don’t know what he looks like. According to Google Images, he might now look like this. But Google isnt always 100% reliable. The paper described the trail that Packard and colleagues blazed to rewrite the ecology of the Illinois savanna. They set out to restore a degraded ecosystem, and ended up by totally re-defining it: what it contained, how it worked, and how to save it. So what was it that rocked my boat, that flipped my lid? Looking back, it’s easy to romanticize ideas that I may not have noticed at the time. Nevertheless, the article combined great field observations, a landscape vision, a superb sense of history, and an appreciation of the pivotal role of disturbances. Equally important, it involved people. This wasn’t an ecology for the wilderness, it was an ecology for vegetation in landscapes dominated by people, both in the past (through fire) and the future (through restoration and community engagement). It also sounded like it was written by a pretty smart guy, who wasn’t afraid to splatter a few sacred cows. 25 years ago, none of this was on my radar. Back then, Australian landscape ecologists studied spatial patterns and ignored history. Most disturbance ecologists worked in ‘intact’ forests and avoided small remnants. Few restorationists had grappled with disturbance regimes. And hardly anyone put people in the picture. Looking back, Steve Packard’s article struck a big chord simply because it was so far ahead of its time. Believe it or not, a few weeks ago I went to the first national workshop on ‘ecological thinning’ in Australia – nearly 25 years after Packard’s paper put the topic on the table. In the USA, the paper may not have been all that revelatory, building as it did on 50 years of prairie restoration. But it triggered a little epiphany for me, and made sense of lots of field observations that I’d long puzzled over. And, for better or worse, that epiphany kick-started a research career that’s lasted over 25 years and generated 70-odd papers, many addressing Packard’s themes. Fueled with Packard-power, we’ve documented how Australian ecosystems changed since European colonization, how human disturbances (and their absences) altered threatened ecosystems, and how managers can manipulate disturbances to restore degraded systems. A few years ago I co-wrote a big ideas paper on landscape history and conservation in fragmented landscapes. Like all researchers keen to get our manuscript published, we claimed it provided a “novel, innovative, exciting, integrative – and gobsmackingly awesome – global conceptual framework, etc, etc, etc”. But looking back, every idea drank from the well that Packard’s paper watered. For the first time in two decades, I re-read Packard’s paper so I could write this blog. I surprised myself by repeatedly putting it aside. I didn’t want to destroy my memories, I guess. When I did get into it, I found it said lots I didn’t remember, and didn’t say a few things I did remember. You can put this down to my fading faculties if you like. But I think it signifies something bigger. Great influences – in art and science, music and life – transcend literal renditions and re-readings. Their legacy lies not in their content, but in the ideas they inspire, the actions they nourish, and the futures they generate. A small article in a small magazine, written by someone across the globe who I’ve never met, helped guide my career. And, along the way, it helped improve the conservation of threatened ecosystems here in Australia. I’m sure the author never imagined his ideas would extend that far. I began this blog by asking, who first rocked your boat? Perhaps a better question is: whose boat will you rock? You may never know it, but the things you do for the environment and conservation – no matter how small – do inspire others, regardless of their immediate outcome. And for earth’s sake, we all need to aspire to inspire. Stephen Packard was my Steve Jobs. Who’s yours? And whose Stev(i)e will you be? The ‘obscure journal’, Restoration & Management Notes, grew remarkably over the years. It evolved into the journal Ecological Restoration and provided the inspiration for the Australian journal, Ecological Management & Restoration (EMR). Packard, S. (1988) Just a few oddball species: restoration and the rediscovery of the tallgrass savanna. Restoration & Management Notes 6(1), 13-22. You may need a journal subscription to access this link. Alternatively, a scanned pdf of the article can be read here, and a web version of the paper (with no pictures) is available here. Connell, J.H. (1978). Diversity in tropical rain forests and coral reefs. Science 199 (4335): 1302–1310. Make sure you read the comments below, they’re awesome! What a great blog Ian! It is great to hear about the times before PCs and how far the discipline has come since then, I can’t wait to ask Bob about his time as your supervisor. I remember one of the first paper’s that actually made ecology click for me was one you were a part of (Costello et al. 2000). It was accessible to me at the time (3rd year undergrad) and it enabled me to really understand the problem, rather than being confused by the boatload of literature I would always try synthesise in my head in a matter of moments. I’m sure most people have a similar story to tell. I have had the pleasure of meeting Steve and I have been in Albury and Wagga Wagga. I’ve better than met Steve — I am him. Ian, thanks for the generous, fun, wise blog. Now I suppose I’ll want to study your work too. Please drop by, next time you’re in Chicago. As his nephew I was lucky enough to go on a few ‘excursions’ with him. ‘Mucking’ bumps river and kiyaking around monomoy. amazing human being! Cant wait to read Just a few Oddball Species!!! Hope this was does not mean he is not with us anymore. Along with Leon Halloran, Steve Byers and several early fen men and women I too was able to transcend my very limited knowledge about native plants and nature on 4 or 5 field trips and times at the Fen. It was even better than looking for a pot of gold when something rare was identified and he had the name. Nature and how it was became real and one could remember just a few years back to see how important it is to restore and provide the continuity with nature we need. I remember waling through a forest preserve and eating the wild huge black berries. We came across a large field of Canabas. He asked us to decide what to do. Burn it, or leave it, or trample it? Still can’t remember what we did but think nothing as it seemed contained and somehow remotely tied to the obscurity of placement that took me back to remember a tall field where I grew up. The grasses grew so tall one could lay down like a deer and watch the grass sway away yet perfect calm and the deep blue made you feel so protected and safe a nap seemed perfectly in order too. Reading the book WHERE THE SKY BEGAN, and listening to the author and Steve gave me a great sense of the continuity of nature that one gets by walking through the Fen and other places and think even our Nature Preserves miss most of this without the inspiration of People like you Fen guys and Steve that goes beyond the naming of things and touches the life force appreciated at other levels from the roots to the blue skies. Some people inspire and transcend life as we some times think we know it. Yes, Steve Packard is a bit of a hero in the circles I move in, as well. I do differ from you a bit on one point, Ian, in that, based on what I have read of him and a couple of conversations I’ve been fortunate to have with him, that he not only imagined, but expected, his ideas to migrate out from northern Illiinois to the rest of the world that is in need of restoration. Steve’s great idea was his recognition and promotion of the concept of humans as agents of “intermediate disturbance” that can restore and maintain both integrity and dynamics to stagnant ecosystems. Ian come visit us at North American Prairie Conference http://www.napc2012.org/ and meet many new friends. It is Canada this year. Let me be among the many Chicago area folks showing up to say thanks for a great blog post. Steve Packard was also my Steve Jobs. I’ve known him since the early 1980s. I remember reading and re-reading _Just a Few Oddball Species_ when it first came out. My partner and I have been stewards at a site called Bluff Spring Fen since about 1986 Steve was instrumental in beginning the restoration and management program at that site. Also, you have a great blog! I’m linking to you from my own blog. I think I have met Tim Barlow about 12 years ago. He is in my address book form Beaufort Vic. Hi Ian, Glenn, Tein, & STEVE!! Man, what a small world the internet has made for us! As many of the above have already stated, Steve was an inspiration to many. 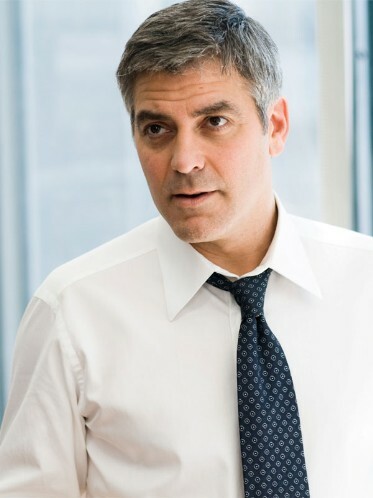 I don’t recall any striking resemblance to George Clooney (more like a young Steve Jobs! ), but my memory is clouded with all the great prairie enthusiasts I met on that trip. I still keep in touch with Karl Smith (@Cleveland) who is thoroughly enjoying retirement. Steve, I do recall a wonderful bbq at your place, as well as trying to absorb some of your mind-blowing knowledge of all things prairie. I trust you’re well. What struck me most about Ian’s compelling post was his appreciation of the sense of “drama” in the science. Most articles hide it, including all the semi-blind groping and the thrills of discovery. A lot of the credit, as Tien suggests, goes to Bill Jordan, the journal editor, who allowed and encouraged such writing. At the time he used to remind us that restoration was in the early Wright Brothers stage of flight. We were barely getting off the ground, but we were tackling the most fun and fundamental questions. He pointed out that in the Wright Brothers’ day, learned academics were also trying to explore flight, but the Wrights made the key discoveries because they had the hammers and wrenches in their own hands and did their own flying. He encouraged us to be more straightforward, honest and searching, which is what Ian appreciated. More writing should be like that — which of course is part of what blogs are for. It continues to be fun to be colleagues together with so many “Wright Brothers.” Hi, Tim. Thanks again, Ian. Hi Steve, yes, you’re spot on. It was the detective story, the sense of ‘the chase’, that hooked me in. The thrill of unearthing tantalizing clues by rifling through old books in winter, and by searching along roadside verges in spring. But I think it’s a bit more than that. There are heaps of good history papers and ecology papers around, but not many people can successfully bring the two together. It was your ability to pull all of these threads together, to marry the archival and field evidence with the results you obtained from your restoration activities, that really made things click. Hello, Im an student from Msc in ecology from Uruguay, I read your post and then the article of Steven Packard and I enjoy doing the two thing!! It was a very nice lecture, how he related all the process. That kind of things shows how is the true process in ecology to try to understand the the nature. I think its a very interesting and important topic. Thank you for share all that! !